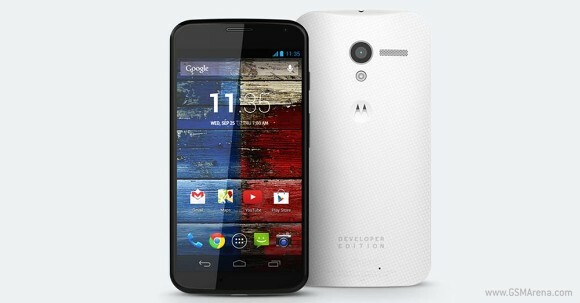 The GSM networks capable Moto X Developer Edition is now available for purchase directly from Motorola. The smartphone with unlocked bootloader is priced at $649 for a version with 32GB of built-in storage. The GSM Moto X Developer Edition is available in woven white color scheme and will work on the LTE networks of both AT&T and T-Mobile. It sports a Developer Edition on the back to set it apart from its carrier-branded siblings. The GSM Moto X Developer Edition is listed as being in high demand in Motorola’s online store. It might take up to seven days to ship.